'tis a Sunday, and January 20. Two years ago now, my life was completely upended, leading me to a cataclysmic decision. After being in the Healthcare industry in Boston since 1984 (Do the math - yes, I'm freakin' old. ), I was involuntarily separated from everything I knew. At the time, I wasn't terribly upset. It was a bad situation; I wasn't happy, and honesty I was still reeling from the death of my mother just about 6 weeks previously. I worked retail for a while, and sniffed around with the luxury of time. As I said two years ago, previous times I've been out of work, I leaped at the first opportunity because I had to. This time was different - with money in the bank, an no dire situation on the home front, I bided my time. You all know a curious job that I essentially took on a whim turned out to be a significant career change. 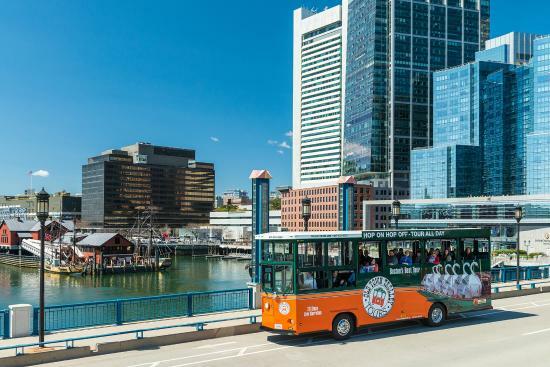 After 30 years of driving a desk, I learned how to drive a bus, and started giving tours through the City of Boston with Old Town Trolley. Fast-forward two years, and what a difference. This past November, I was actually surprised to become the Head Conductor here in Boston. That means I'm in charge of all the conductors. Schedules....training...mentoring...discipline...inspiring them to new heights....and now deeply involved in the hiring process to expand our team. In many ways, this professional position is the culmination of my Scouting career. I'm using all the things I know and teach from Woodbadge. I've even had the thought that now I'm more like the Senior Patrol Leader to those men and ladies that drive trolleys for me in the city. For years now, I've often felt that I have missed my calling and I should have been a teacher. While I have the spirit and the temperment, I never had the educational background to professionaly teach. All of my knowledge in this field was gained the hard way, by experience, and it gives me great joy today to actually receive a paycheck for things that come to me naturally. It's been a strange journey. Some days....yes, I don't like some of the aspects of my job. But on more days that I can count, I've gone home with my face hurting from smiling so much. It's certainly been a strange turn of events for Your Loyal TriSec. So, learn from me. Don't be afraid to take that risk. Try something different. Do something you love. I've actually been finding that the pithy statement from Confucious is actually true - "Choose a job you love, and you will never work a day in your life." Or maybe he didn't say it. Either way - as Raine said to me two years ago..."Leap, and the net will appear."